There are stages in the life of a book, and we authors celebrate each one. Today marks one such celebrated stage for Laurisa White Reyes’s upcoming novel, CONTACT. Her cover is being revealed! We will be interviewing Laurisa, who is also the editor of Middle Shelf Magazine, here in May. But today, you can get a taste of what her novel is about here, and scroll down to see its fabulous cover. “It takes only half a second, like those commercials where a crash test dummy rockets forward at high speed and slams into a wall. In that instant every thought in Emma Lynn Walsh’s head collides with mine—every thought, memory, hope, disappointment and dream. Congrats Laurisa on a great cover! Psssst – The book trailer for my next book, The Boy Problem, will be revealed on Laurisa’s blog on Monday, March 3. Make sure to pop over there to check it out! 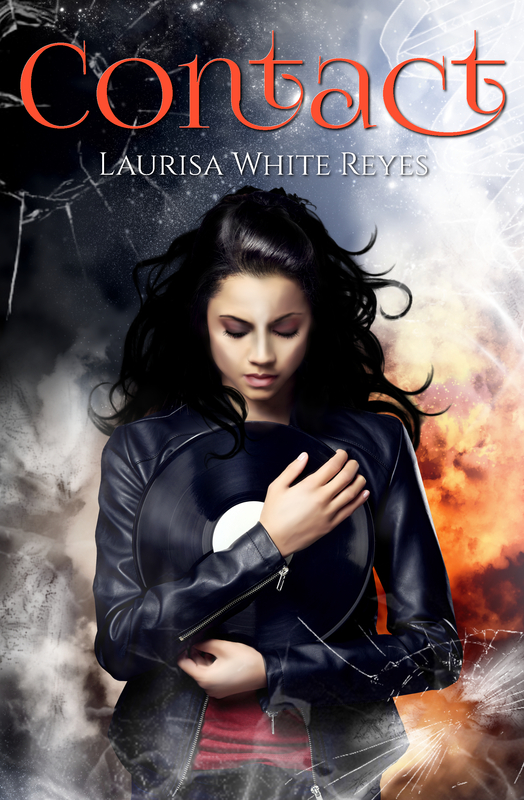 This entry was posted in About Writing and tagged CONTACT by Laurisa White Reyes, Contact novel, Cover Reveal, Laurisa White Reyes. Wonderful cover! You must be so happy! Love the cover! LOVE the book’s concept! What a creative mind. I read your synopsis of the book and thought, I wish I had thought of that. Gotta get this book!! Sorry about the exclamations. I’m just that way. Thsnk you, Pamela. Hope you enjoy reading it. Congrats Laurisa! Can’t wait for the book release.